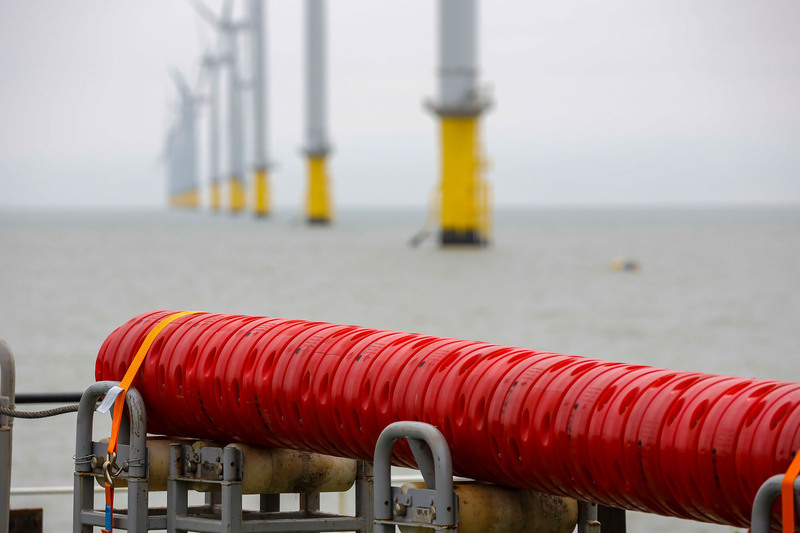 has signed a sizable contract for the replacement and repair of a part of the inter-array cables at an offshore wind farm. The contract carries a value of approximately EUR 80 million. Boskalis will utilize three anchored barge spreads, including the well proven cable repair assets Bokabarge 82 and recently acquired BoDo Constructor from Bohlen Doyen accompanied by a variety of support vessels. Boskalis` strategy is responding to key macro-economic factors which drive worldwide demand in our markets: expansion of the global economy, increase in energy consumption, global population growth and the challenges that go hand in hand with climate change. This project is related to the development of generating renewable energy due to climate change and increasing energy consumption. Royal Boskalis Westminster N.V. is a leading global services provider operating in the dredging, maritime infrastructure and maritime services sectors. The company provides creative and innovative all-round solutions to infrastructural challenges in the maritime, coastal and delta regions of the world. Core activities, including coastal defense, riverbank protection and land reclamation, allow Boskalis to provide adaptive and mitigating solutions to combat the impacts of climate change, sea level rise and to deliver solutions for the increasing need for space in coastal and delta regions in the world. The company facilitates the development of offshore energy infrastructure, including renewables. It is furthermore active in the construction and development and maintenance of ports, waterways, access channels and civil infrastructure, contributing to improved trade flows and the socio-economic development of a region. In addition, Boskalis is a global marine salvage expert and has a number of strategic partnerships in harbor towage and terminal services (Kotug Smit Towage, Keppel Smit Towage, Saam Smit Towage and Smit Lamnalco). With a versatile fleet of more than 900 vessels and floating equipment and 10,700 employees, including associated companies, Boskalis is building new horizons in 90 countries across six continents.